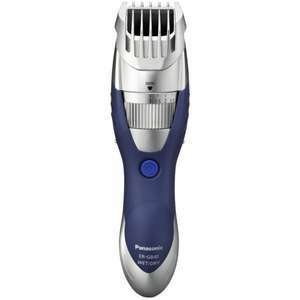 Example add on item Wahl Wet & Dry Nose & Ear Hair Clipper £4.99 (25% off) makes it £21.98 for both, Happy Days! It was bad enough on the face..i daren't try it on the balls! I have this trimmer, good build design size etc apart from it nips the …I have this trimmer, good build design size etc apart from it nips the skin a lot! I had it replaced but ufortunatley it was the same so its sat in storage at the moment ended up buying philips! I have this trimmer, good build design size etc apart from it nips the skin a lot! I had it replaced but ufortunatley it was the same so its sat in storage at the moment ended up buying philips! Which Philips model would you recommend? BT5200/13 purchased this from amazon.... Good trimmer which does not nip the skin but the size is slightly larger than for my liking! BT5200/13 purchased this from amazon.... Good trimmer which does not nip …BT5200/13 purchased this from amazon.... Good trimmer which does not nip the skin but the size is slightly larger than for my liking! I paid £45 in April... So seems a good price... You can always Google it for a better price? Used 3 times without the guard works fine, no nips!